The late Sean Dalton, left, and the aftermath of the so-called Good Samaritan bombing in Creggan in 1988. The family of Sean Dalton who was killed in an IRA bomb in Creggan in August, 1988, have accused the DUP of using their father’s death to attack the Police Ombudsman’s office. Mr. Daltons’ children Phyllis Kealey, Kay Devine and Rosaleen Dalton, reacted angrily to a claim by DUP MP, Jeffrey Donaldson, that the RUC did not fail in their duty to uphold their father’s right to life. The 54-years-old was killed alongside his neighbour, Sheila Lewis (68) when an IRA booby-trap bomb exploded in Kildrum Gardens on August 31, 1988. Another neighbour, Gerard Curran (57) died from his injuries months after after what is now known as the ‘Good Samaritan’ bombing. In 2013, following a report by the PONI an investigation confirmed that the RUC knew the bomb ‘was in the vicinity of 38 Kildrum Gardens;’ that they had failed to mitigate the threat by advising the local community and that they failed to protect Mr. Dalton’s right to life under Article 2 of the European Convention on Human Rights. Mr. Donaldson’s comments in the House of Commons to the contrary sparked a forthright response. The family said: “Jeffrey Donaldson and others discussed the specifics of our father’s death as a means of attacking PONI. 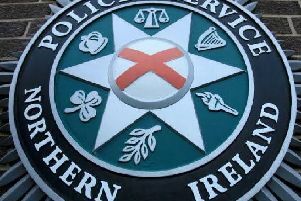 He states that he understands our anger and concern, but ‘in the end it is the Provisional IRA who are to blame for that death, not the RUC.’ This is repeated by Bob Stewart. “We are not in any way affiliated to a republican agenda and are deeply offended by any suggestion of this. Our only agenda is to seek truth and justice for our father. “PONI state in its report that responsibility for the deaths ‘must rest with those who planted the bomb’. We do, however, believe that the RUC are culpable in their failures to protect our father and the residents in Creggan. The late Sean Dalton, left, and the aftermath of the so-called ‘Good Samaritan’ bombing in Creggan in 1988.